Content marketing is sharing something useful or interesting that will attract traffic to your site. That might be as complicated as a video that takes weeks to produce, or as simple as a movie review. But the content marketers I work with complain about what I call “content marketer’s block” — they don’t know what to write about. I’m coaching two brilliant people like this right now; they hired me to help edit their blog posts, they’ve developed a plan and a point of view, and yet they don’t seem to able to produce much in the way of content. Of course, at the other end of the spectrum are daily bloggers, like me. Unless you are brimming with ideas and time, I don’t recommend that you do this. But surely you can produce more. Your job as a content marketer is develop insights and perspectives that are useful or interesting to your audience and to write about them. Those insights and perspectives should be new. If someone else has already written a nice post about the five-step process for securing a business loan, then we don’t need yours. Luckily, there is an endless source of new material: your life. You just need to change your mindset. You need to recognize that the things that you think are new, or unusual, or funny are likely to be interesting to others as well. In dealing with customers, what do you need to explain over and over again? Write it down and explain it clearly. Did you meet a customer who is doing something unique or outstanding? Ask to profile them. Is there someone at your company who seems to know things that the rest of you don’t understand? Interview them; turn their insights into a post. Did you hear a talk that inspired you? Interview the speaker. Did you read someone else’s post that sparked an idea in your mind? If you agree, explain what makes those insights stand out. If you disagree, explain why they’re wrong. If you have a different perspective, show why. As you read the news, notice topics on which you have a perspective worth sharing. For example, if you write for small businesspeople, then the tax plan’s impact on small business is a valid topic. If you write about reputation, a famous person’s reaction to accusations of sexual harassment is fair game. Popular stories at the top of the news are great, but so are lesser-known stories that you can elevate with your perspective. Describe briefly what happened, then segue quickly into your unique perspective on it. In my own work, for example, I write about announcements and news only when I can deconstruct the written source material from the perspective of effective business writing. Similarly, you want to write about what the news item says about creativity, or startup funding, or accounting fraud, or whatever is likely to interest your segment of readers. Tell what the lesson is. Stuff happened. Fine. I have an opinion on it. Interesting, perhaps. Here’s what it means for you. Ah, now we’ve created useful content. Create a great title that’s not clickbait. Describe what happened and your unique point of view; use the names of companies and individuals to signal that it’s about the news people are reading. 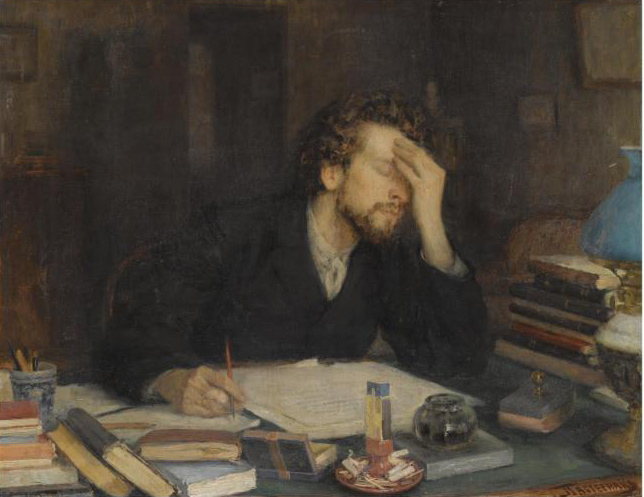 If you can’t do any of these things that I’ve described, you’re no content marketer. Get a different job. If these ideas intrigue you but you don’t know what to say about them, you’re not a content marketer, either. Content marketers need a point of view, and the ability to express it. But if you’re a decent writer who’s got a healthy curiosity, I just gave you seven good strategies on how to create useful content. What’s stopping you? 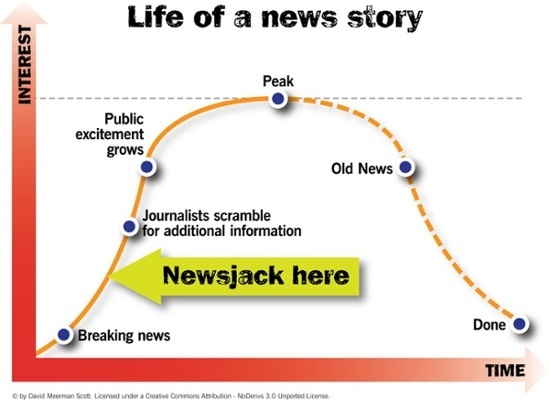 Josh, many thanks for your wonderful post referencing newsjacking. Not sure if you saw, but ‘newsjacking’ has become so popular that a few days ago Oxford Dictionaries shortlisted it as the word of the year for 2017. They mention me and the book as the driver.